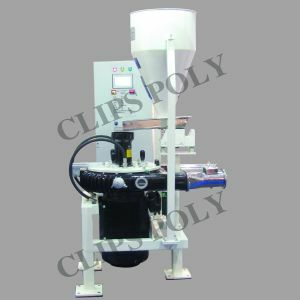 Clips Poly Direct Drive Pulverizing Systems with single mill features the unique & efficient direct drive mill. The Advance Mill Air Flow System with heavy duty cast steel Mill Housing , the external air fins promotes adequate cooling. Adjustment is performed from outside with adjustable water jacketed stationary disk fixture uses three position fasteners to set the gap between the disks. Our HM Series Single Mill Pulverizers is easy to install and maintain. HM Series Single Mill Pulverizers requires less power to run, making it cost-effective to use. Floor Area 80" x 90" x 180"